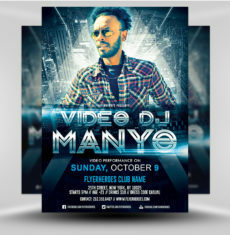 Want an audience? 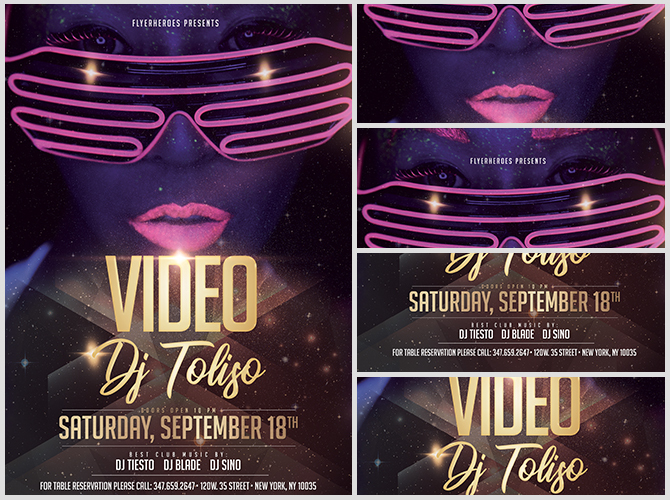 Use our DJ Video flyer to promote your night! 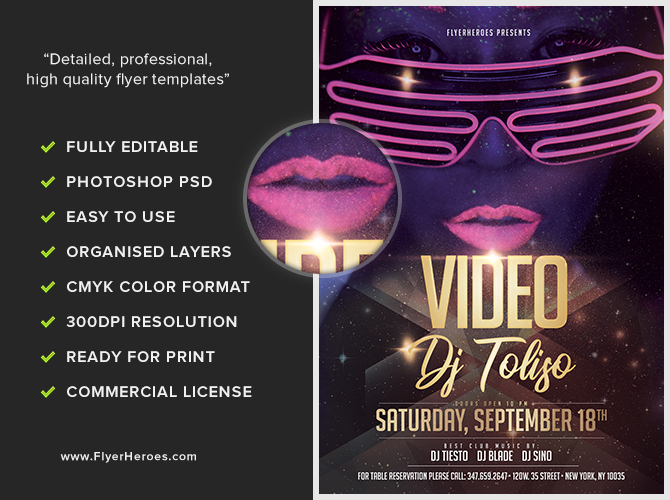 This flyer has an 80’s feel, using a model under a blacklight with neon pink highlights for her lips and sunglasses. 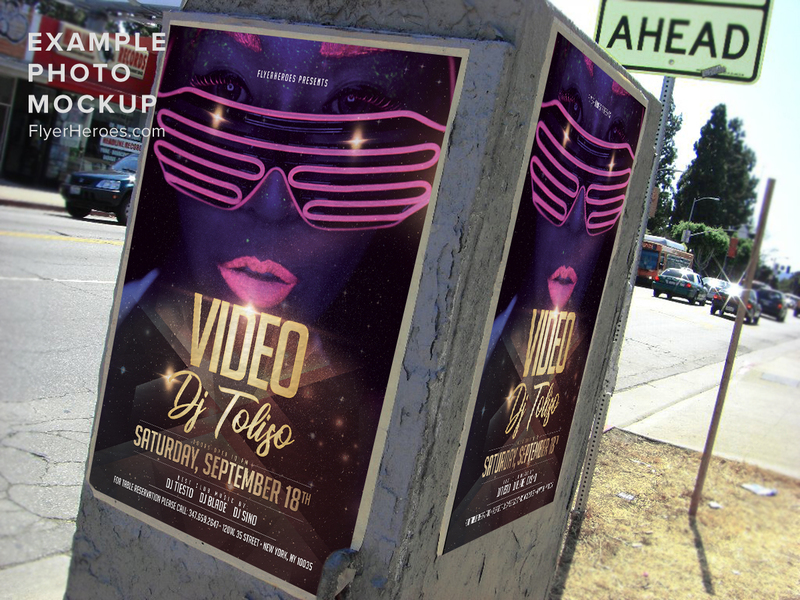 Script and block letters in metallic gold stand out from the background and are guaranteed to draw attention to your flyer. 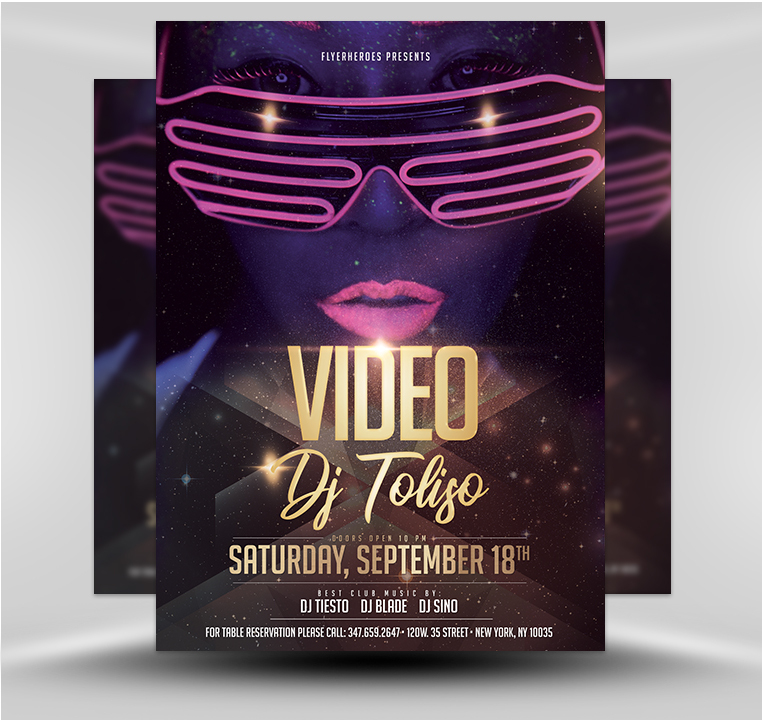 Lens flares and glitter effects give this flyer a rich, luxurious feel. 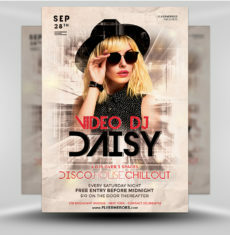 This flyer would be perfect for promoting your night or special event.